My previous post on cloud technologies didn't cover the type of computing resources provided by the cloud or who the customers of cloud services are. 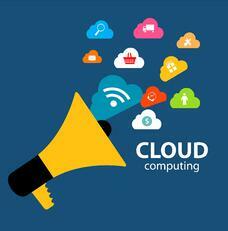 Providing those specifics involves understanding some of the jargon associated with the cloud. The American National institute of Standards and Technology (NIST) provides clear definitions of the service models and deployment models for cloud infrastructures. These definitions are the de facto standard for discussing cloud platforms. Software as a Service (SaaS): Provides a complete application to a customer hosted on a cloud platform to provide lower latencies, better bandwidth, scaling, or other features. Typically the customer will access the service through a web browser or another client on the customers computer. Platform as a Service (PaaS): Provides a programming environment and cloud infrastructure featuring high-level capabilities like load-balancing, scaling, etc., relieving the programmer from having to construct those services from scratch in the application. Typically the customer is an application developer who accesses the service through a proprietary, language-specific API. Infrastructure as a Service (IaaS): Provides access to raw computing resources (virtual machines, storage, etc.) that can be provisioned (and released) rapidly. Customers access these services either through a simple (usually REST) API or through a web interface. These service models are often presented as a hierarchy, as a PaaS is often built over a IaaS, as well as a SaaS over a PaaS. Despite these clear-cut definitions, real services tend to be more complicated, offering elements of the different service models from the same cloud infrastructure. Private: These are infrastructures in which the computing resources are co-located with the primary users of the infrastructure. The users typically pay for the computing resources directly and run them as a cloud for their own purposes. Public: This is an infrastructure in which the resources are offered to the general public. The customers pay for the resources directly usually via a credit card. The computing resources are housed in data centers controlled by the owner of the cloud, not by the customer. NIST actually defines a fourth deployment model, Hybrid Cloud, which is really just a mix of the other deployment models. This usually comes up in the context of “cloud bursting”, where remote cloud resources (public clouds) are used when a local cloud resource (private cloud) becomes saturated. scale resources to match customer demand. Most organizations will need to use different service and/or deployment models as their requirements change and grow. This is where application deployment tools like SlipStream come in, helping users take full advantage of the cloud whilst streamlining processes.